Yikes! A long, long day at the office (on my day off) trying to hit a deadline means that we’re racing to the table when I get home, looking to sort out the customary three-of and see how Infect & Defile ranks next to its fellow Mirrodin Besieged Event Deck, the blitzkrieging Into the Breach. Without further preamble, here are our match notes. On the play, Jimi opens up with a Mountain and a Panic Spellbomb. I drop an Island and a Preordain, keeping a Plague Myr to draw and banishing the other card- an Island- to the bottom of my library. Next turn Jimi presto’s her Spellbomb into a trio of 1/1 Goblin tokens, courtesy of a Kuldotha Rebirth. She follows it up with a Signal Pest, and suddenly that nuisance is a full-fledged problem. For my part, I play a Drowned Catacomb into the Plague Myr, and reluctantly pass. If I thought I was in trouble with Jimi’s trio of 1/1 Goblins and the battle-crying Pest, it was only half the beating I would have taken had her kicked Goblin Bushwhacker not shown up. Swarming across for her first attack of the game, I’m already down to 7 life. I attempt to buy time with a Consuming Vapors, but even I know it’s not nearly enough. Jimi finishes me off with a Lightning Bolt after her next attack. Dead on turn 4. I open the next game with a Preordian, and ship both land cards that were on top of my library to the bottom, having enough in my hand for the time being and more in need of options. Jimi drops a Mountain, a Spikeshot Elder, and a Memnite– nice start. But if there’s any hand that has a chance against Into the Breach, it’s mine, with cheap and early stall tactics aplenty. The first of these is a Necropede, which I play on turn 2. With no profitable attack, Jimi avoids the obvious two-for-one and instead plays a Darksteel Axe. Knowing that an Axe-equipped Elder makes his ability suddenly very efficient, I pop him off with a turn-3 Contagion Clasp. That removes the threat of a two-for-one against Jimi, though, so her play is to equip the Axe to the Memnite and chop in for 2. Happy to trade blows, I next swing in for my first poison counter with the Necropede, while Jimi swings back for four after playing and activating a Contested War Zone. Now turn 5, I attack for another poison counter with the Necropede, giving me control of the Contested War Zone. I drop a second Necropede, and pass. Jimi then proceeds to virtually hand me the game with a calculated gamble that blows up in her face when she tries a Devastating Summons, sacrificing all four of her land. I show the Mana Leak, and she’s just Armageddoned herself. Lucky for her she’s piloting a deck that can recover quickly, needing very little mana to function. It’s still a major setback, but sometimes you just have to make the aggressive play. She ends with a Memnite, then passes back. For the next two turns (turns 6 and 7), I swing in with a Necropede while keeping one in defense. I’m able to trigger the War Zone to pump it, and Jimi’s in trouble. For her part she’s retrenching, and lands an Ornithopter to supplement her meager forces. The game moves slowly towards its inexorable conclusion. Jimi tries to Lightning Bolt a Necropede, but it gets Deprived. A Consuming Vapors suppresses her creature count, allowing one Necropede at a time to swing in on the attack, and even after it gets traded out with a Memnite it’s able to come back with a Corpse Cur. Although the board stalls, I simply ride the Contagion Clasp to victory, proliferating Jimi’s poison counters. Jimi starts the game with a Memnite and a turn-2 Goblin Wardriver, while I’m slow to develop with a pair of Jwar Isle Refuges. A turn-3 Signal Pest draws a Contagion Clasp to squash it, but on turn 4 (with me only showing one open mana) Jimi gets off the Devastating Summons after bringing out a Spikeshot Elder. While she loses all of her land, I can do nothing but watch while she deploys a pair of 4/4 Elemental tokens to the board. I’m able to get out a Phyrexian Vatmother on turn 5, but it’s not nearly enough. Next turn she swings with the team and kills me. Infect & Defile is undoubtedly the poor stepchild of the two Event Decks, well in the shadow of the mono-Red blazingly fast Into the Breach. Certainly if nothing else, one can safely conclude that it has a very difficult time dealing with fast, aggressive decks, as it’s combined 1-5 record against its counterpart in both reviews illustrates. It just doesn’t have enough early defense, and later-game cards are simply dead in your hand. 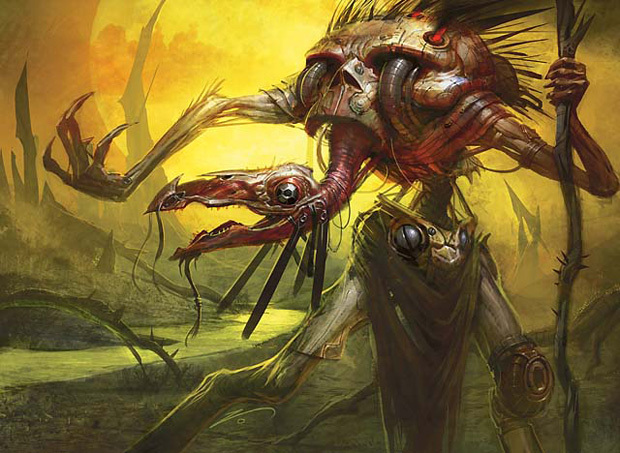 It’s nothing a sweeper or two couldn’t fix, but the deck’s designers didn’t see fit to even put one in the sideboard, be it a Black Sun’s Zenith or even a Consume the Meek. That’s a shortcoming, as aggro decks are not at all uncommon sights at most any level of play. 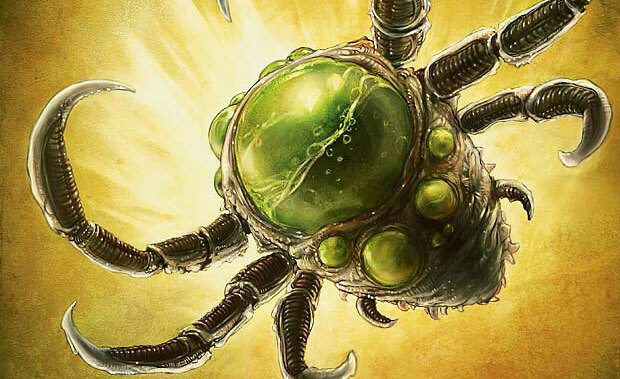 Instead, Infect & Defile seems positioned to take on mid-range decks, particularly ones that field only a few, large creatures such as one of the Titans from M11. The playset of Corrupted Conscience in the mainboard has exactly this scenario in mind- wait for them to cast a fattie, then steal it and kill then quickly with their own infected brute. But that may be the deck’s biggest weakness. Contrary to their own hype, these decks aren’t quite at the competitive level. Your mileage will vary at your Friday Night Magic, and Into the Breach might well do a passable job, but the deck’s own packaging promises to let you “enter the world of tournament play” with a deck that lets you be “immediately competitive.” While as mentioned in Into the Breach’s writeup it has the ability to flat-out steal wins due to speed with the right draw, Infect & Defile has no such luck. Indeed, its slower, plodding pace means that your opponent has plenty of room to develop their board state, and they might well be resolving their Primeval Titan or Gideon Jura while you’re fiddling with a Hand of the Praetors. To be fair, there’s certainly the makings of a solid deck here, though it will take adding things like additional Vatmothers, Phyrexian Crusaders, Inkmoth Nexuses and the like to get to the right power level. Until then, it’s just an advanced Intro Deck. Take heart- although the deck will lose points due to not living up to its billing, it’s still a very solidly-constructed deck that’s fun to play. In that light, it’s certainly a success even if you never get serious about taking top finish at your FNM. ← New ‘Magic Beyond the Box’ Contest is Here! Honestly, you bring Infect & Defile in and a pro looks at it. What happens is he’ll start just going done lists of ironies and non-synergetic silliness. 17+ 4 drops, Mind Control sets, few beaters, almost no win condition aka goal, constantly and sluggishly moving along between either moves of okay creature(s) or fixing spell to try and make your hand look like your deck isn’t as bad as it is. Match-up against Into the Breach? First realize against such aggression you still have to stabilize. Trying to race a bullet train is always a losing battle. I have the same issue with Kuldotha Red with QuestVine. The solution is that I need to create more trades and affordable blockers than they have attackers. If you wall their offense, the next step is outshining them by complicating the game state and finding a hole through their lackluster defense. Disrupt their plays with Inquisition of Kozilek early so their best move that grants them tons of damage become nullified. Wait for them to fall into dangerously cheap removal and take control. Flood the field quickly with little guys, and Hand of the Praetors will almost guarantee you control by pumping your wall while simultaneously influencing your win condition. Once reaching a stalemate with Into the Breach, that’s when you break it with one attacker that can compete with a huge Sledge, a 2/2 Blinkmoth Nexus that can steal Contested War Zone while exploiting the turn clock. Or the Distortion Strikes that will lead your man to the end of the game. It won’t be easy, but this time it’s actually possible game 1. POSSIBLE. You really needed to sideboard. The sideboard is a part of the preconstructed deck. If you don’t make use of it, you aren’t really doing the deck justice. It would be like taking the foil rare out of every intro pack before you playtest. The sb affects the game whereas the Foil of a card doesn’t. I respect non-sb. The sb are a little silly anyway, they aren’t like much of anything I would pick. They’re just general and kind of Scars block useful only (even though it can’t play Scars block). They’re whimsical and general stuff that sometimes could be in the mb easily depending on the format. Overall, don’t count on it. IMO, the sb was their hole to be allowed to drop Go for the Throat and Into the Core into, so the mb wasn’t unaffiliated (for flavor reasons). Although, you almost feel sad 1 Rare is sided in Into the Breach… but more sad for Infect & Defile with 2 rare lands mb :P.
In addition, they didn’t tighten up the mb even to really make sense. The decisions for Infect & Defile are silly, from CConscience, to Doom Blade, to Consuming Vapors, etc. It’s hard to digest what’s going on here. That’s why I was so vehement about redesigning it. 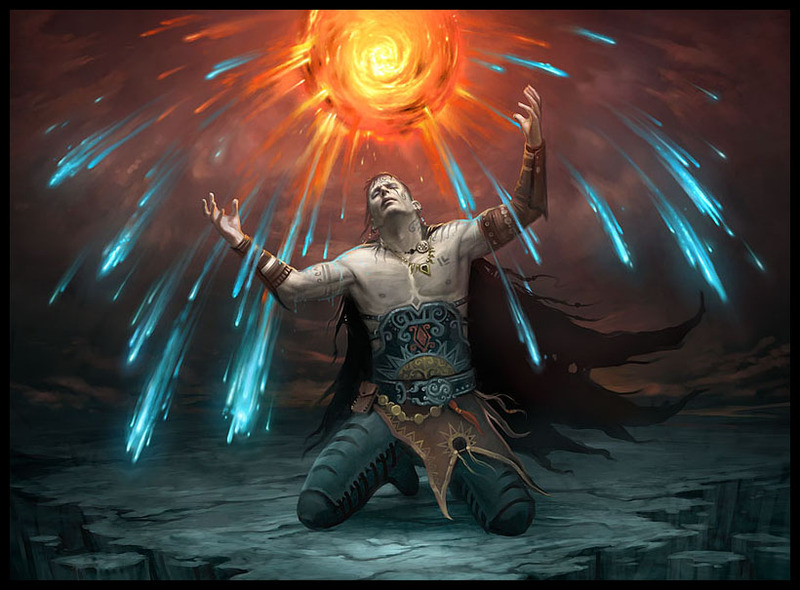 The foil rare is generally the most powerful card in the deck, so taking it out would be a handicap. Taking out the sideboard is effectively the same handicap–you’re denying the deck the access to the additional removal it needs to keep parity in this matchup. A few crusaders. Another Hands. Little changes like that would have made this deck out of the box more competitive in my opinion with Breach. It needs Crusader to combat the swarm. It needs another Hands. It needs a good bit of tweaking and toying with the mana curve. I’d love to see a budget meddling of this deck. Crusaders last I looked were too rich for my blood. I think it was 6 bucks each. Insane. These decks I think should have been balanced out of the box as is meaning no sidedecking needed. That way two peeps could grab them and play them. Instantly. No tweaking required to have a balanced game like a good duel deck. I’ll probably grab 1 of each event deck anyway. Yees, that’s another piece of my fix I forgot to mention specifically (only explaining as a generalization). PCrusader could tear Into the Breach up. It can evade baddies + removal, and combat the damage of ANY creature the deck can conjure, whether it be an X/X Red Creature or a 3/X Colorless Creature, where X is any number. 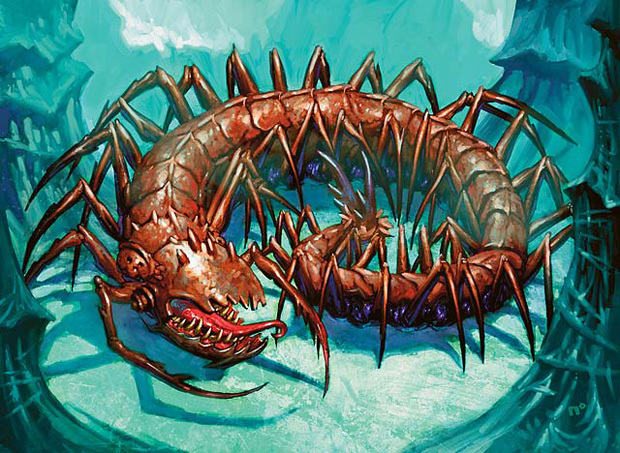 It pains me to think about the fact the deck went to a couple Drowned Catacomb or Consuming Vapors before this guy. I’d love to pick up a pair of these, but the local store is selling them for 25 bucks a pop which seems like a rip-off to me. I guess I’ll have to pre-order them next time. Speaking of game day, I like the idea of creating a deck with an affiliated faction. Since the folks locally seem to love playing infect and I hate infect, I’m going to go with a deck that packs infect hate and show up at game day. What is everyone else running? $25 is the MSRP, so you’re not being gouged here. Also infect was going for 17 bucks on coolstuffinc last I looked. Not a bad price. Down to 12.99 for infect. For some reason, I thought they were 15 bucks MSRP. Yeah, I noticed that you can buy the pair on Cool Stuff for 35. The downside is you pay 7 bucks in S&H. But still a decent price if the MSRP is 25. I ended up buying one for 25 today. I threw the Goblin Guides and the Devastating Summons into the deck I outlined above. I went 2-0, 1-2 (against Into the Breach), 1-2 (against someone who sideboarded really well), and then 2-0. The guy running Into The Breach placed well enough to win several boosters. I fell just short, but it was a lot of fun since most of the players around here are into draft, not constructed, so at least I got to play my own deck. Thanks for the heads up, Troacctid. Bought the Into the Breach one and found it to be great after tweaking. This one could work, if you tried to make it work, but seeming as I already have a FNM playable infect deck, I dont really see the need to buy it. This deck is dirt cheap so I’ve decided to buy one and meddle it. I’m taking it more towards control than swarm. They just so happened to have PvC dirt cheap too so this meddling got upgraded with a little Dark Ritual.